John W. Carte is the Chief Executive Officer of Carte Hall Certified Public Accountants in Elkins, West Virginia. 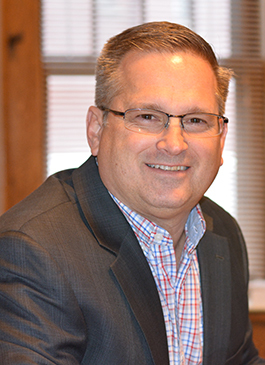 As the Founder and Managing Partner of one the most responsive and dedicated professional accounting companies in North Central West Virginia, he brings over 30 years of leadership and business management experience to businesses in Randolph County and the entire region. As a proud Marshall University alumnus, Mr. Carte has utilized the knowledge gained while obtaining his B.B.A. in Accounting to form the strong foundation upon which Carte Hall Certified Public Accountants is based. 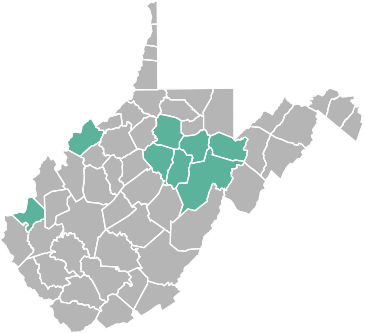 Since the company was founded by Mr. Carte in 2002, he has significantly expanded upon the professional services and capabilities of the company to better serve clientele throughout West Virginia, including ongoing development of innovative solutions to improve our clients’ efficiency and productivity. Carte specializes in providing management consultations for some of the region’s most successful businesses and non-profit agencies. He also offers a comprehensive range of traditional accounting, corporate tax, banking, and consultant services. Mr. Carte handles many of your most critical financial matters, including trusts, valuation, ESOPS, direct audit and litigation support, and specialized services including wealth management advisory. In addition to his management responsibilities, John is strongly engaged with the community as an active member of the Board of Directors for Citizens Bank of West Virginia, The Elkins-Randolph County YMCA, and The Snowshoe Foundation. In addition, he is professionally affiliated with, and an active member in, both the American Institute of Certified Public Accountants and the West Virginia Society of Certified Public Accountants. John develops an in-depth knowledge of each of his client’s businesses and becomes an integral part of the team. He takes his role as accountant seriously and strives to understand every angle of the business operation to assist his clients with maximizing their profit, and ultimately, the success of the business. John spends leisure time with his children and wife, Heather. His passion is to spend time outdoors with family and friends enjoying what ever the season brings. He likes to camp, hike, fish, hunt and playing golf. Contact Carte Hall Certified Public Accountants for all your individual and business accounting, tax planning and preparation, and financial advisory needs. Call: (304) 637-2369.